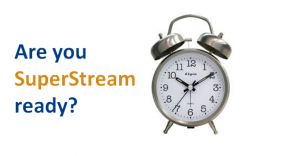 Are you and your business SuperStream Compliant? Have you had trouble with a lost or stolen TFN? Are you ready for SuperStream? From 01 July 2015 ALL employers must send their contribution data and payments in an electronic format. It is expected that by 30 June 2016 all employers have finished implementing this system. To find out more information about how SuperStream works or might affect you, you can visit the ATO website or give us a call today on (02) 4228 0011 and speak to one of our very lovely accountants about what you need to be doing! Check out our Facebook page to keep informed with regular updates like this!